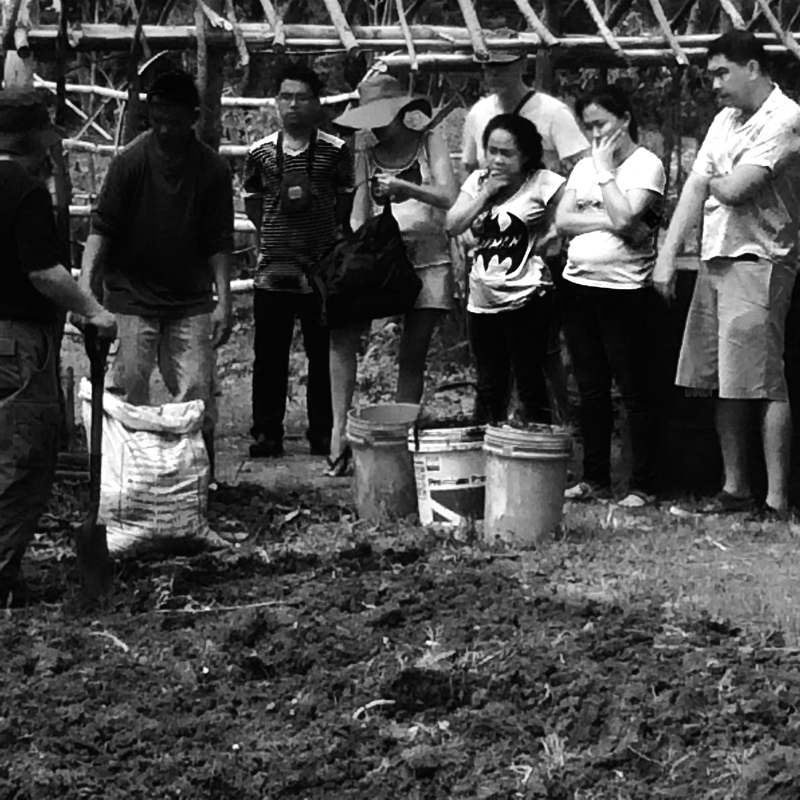 A Sense of Humus | Our Farm by Earth Flora Inc.
We just capped a weekend workshop of backyard farming. There we were, mostly urban dwellers raised on store-bought vegetables and Chippy. We were out in the sun for practical work. I had warned them about hats and garden boots but the urban dwellers fancied sneakers or sandals, an umbrella and Rayban sunglasses. We gawked at the farmers with their shovels of earth. They layered the compost pit with dried-up leaves and horse poop like lasagna. A flabby milk-white worm wriggled out of the compost that was supposedly every farmer’s manna from heaven. They were probably wondering how on earth they were going to build the same biodynamic compost in their backyard. It entails hours of stirring a pail of water to the infinity sign, months of watching the lasagna turn to mush, and keeping the pit moist until it smells like the earth after a rain. And that’s merely the compost. When you grow up in the city, you tend to have an idealized notion of farming. It’s the man with a cowboy hat and, in our tropical world, wearing slippers. It’s a life of rolling plains, of sowing, of having nature take its course, and of one day harvesting a row of lettuce heads and rosemary. It is pastoral and slow paced. You read a book with a cup of coffee until your seeds germinate and the flowers wake up. Now you have a weekend of theory and an hour or so under the sun and you see it is neither pastoral nor slow. You’re not just reading a book with coffee, you’re trying to grasp every plant and why peppers won’t thrive where you live. You’re sensing the woolly bug and keeping up with his life story. Farming is abuzz and fierce. You have a trillion things thriving, multiplying and dying: bacteria and microbes, bugs and earthworms, aphids and leaf miners, and in the midst all these- a tiny sprout that’s trying to break free. And then intensify that with the mighty elements, the phases of the moon, the unrelenting rain, and humus that you need to keep alive. You now understand why some farmers will snap up a magic pill. It gives them twice or thrice the yield with a flick of the wrist. They wouldn’t have to dig pits and layer it up to their waists. 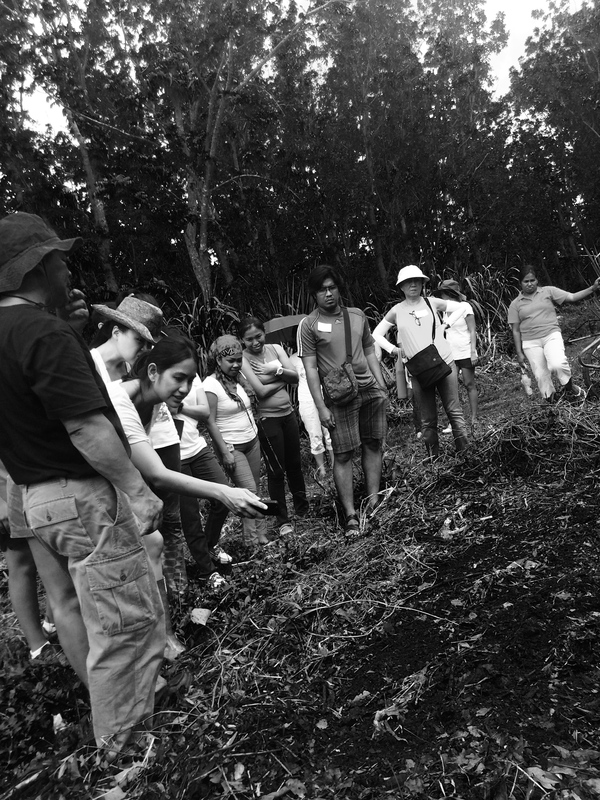 There’s no getting down on their knees to cover beds with mulch, or to line it with canals. They don’t have to wait for ladybugs to visit and eat aphids. They don’t have to lose sleep over holes or black spots, as they can pellet disease with pesticide spray. They don’t have to agonize over what to plant, where, or when. There’s no brewing of manure, worm castings or fish waste for tea compost. And without fail, they get shiny and plump vegetables that look (and taste) like plastic every time. And so you begin to appreciate the drudgery and toil of growing food, and doing it without magical formulas and cure-all sprays. 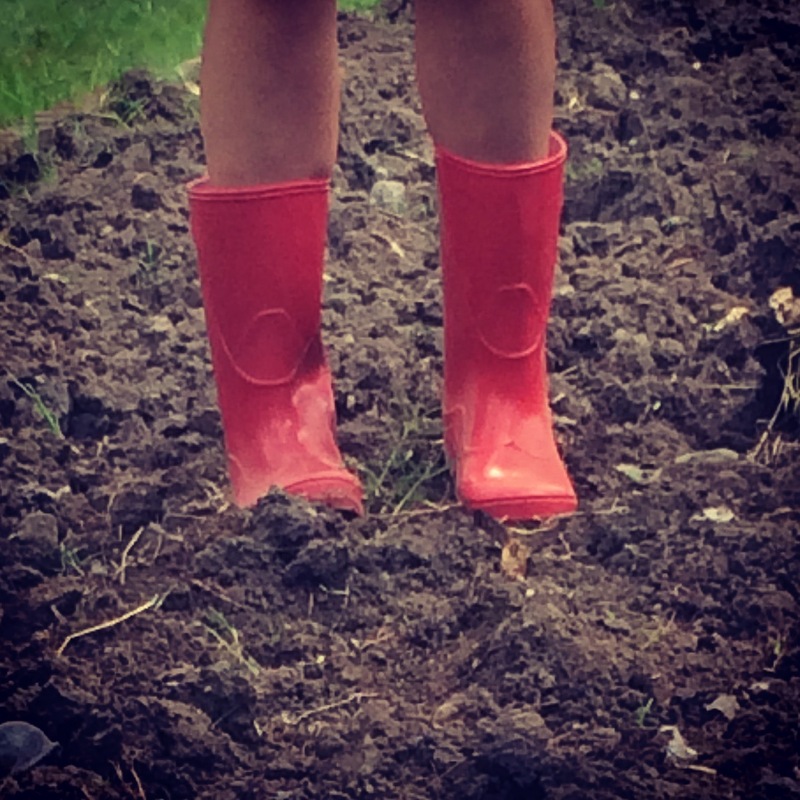 You catch sight of farming, and how, from compost to a first crop, it is a way of life. The devoted farmer is far more than a man with a cowboy hat. Farming seeks out those who delight in humus, the smell of dung or rotten peels, and invisible things that may one day poke their heads from down below. It seeks out those who can be intimate with the intangible, with the forces that sprout seeds and make flowers bloom. The select few who get down on their knees digging, weeding, picking grubs, praying for sun and fearing too much rain. The handful that choose backbreaking labor over a magic pill, just so they can keep the earth alive. Especially, you see how all these hours end at the farm gate dependent on a market that does not fully appreciate working with the land. On a market that insists on temperate crops in a tropical country. On consumers who pressure farmers to grow the most difficult vegetable, and then frown at its commensurate variable in price. I do not know much about the work at our farm. I often just behold the fruits of the harvest, in crates, each tomato wrapped in banana leaves. Except that a weekend of backyard farming has given me a glimpse of how the crate gets to my farm store, and the toil needed so I could earn a living from working with the land. I see you now. And this girl who grew up buying vegetables at the supermarket will now pause and give grace before every meal. Especially because you opted for backbreaking labor over a magic pill, and still managed to keep your sense of humus.